Refers to these as rules to fit into the community. These are not engraved in stone; these are guidelines that you should follow in order to fit into the community, since if you break any of these you may not actually be harming anyone (with the obvious exception of flaming). It's very important that you READ these, because if you continuously break any of these rules, you reveal yourself as a threat to this community's atmosphere, and will be treated accordingly. #1 Read the General Rules page first. Anything covered there is probably not repeated here. #2 General Discussion is for, well, general discussion. "Come here to discuss anything," even if it would fit "better" in a forum that covers a more specific range of topics. The rule of thumb is to either post in General Discussion and receive quick un-targeted views, or post in a specialized forum and receive targeted views and a longer thread life, but the choice is yours. #3 Regarding alternate accounts... If you have been banned and decide to return on an alternate name, your posts will be deleted no matter how relevant or useful. Your account will also be banned, and your punishment increased. If you need to say something and have been banned, contact an admin or trusted member via email or a messenger program. If you haven't been banned, but make multiple accounts, it is fine. As long as you do not cause trouble with them, such as spamming polls, getting "more people on your side," etc.. This could either be a serious or minor situation, which the moderators can judge accordingly. Most likely, if you abuse your multiple accounts, you will simply not be able to have more than one account anymore. 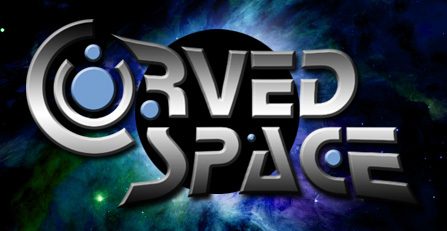 It is advised that if you are a newcomer, you do not make multiple accounts, so that other members of CurvedSpace get a chance to know you first. #4 No advertisements here. No ads for websites should be posted here; it is likely to be deleted. If you would like to advertise a clan, please post here. Advertising anywhere else is likely to be deleted. If you register only to advertise, and you do so very excessively, we will assume you are a bot and will ban your IP address. The Mods will be quite lenient with warnings. As long as you are not hurting anyone/thing by breaking the rules, the Mods will simply give you verbal warnings. However, if you choose to disregard what mods advise you to do, and continue to break these rules, you may end up getting formally warned. Why? Because you're posing a potential problem to the atmosphere of the community by ignoring our guidelines. Newcomers will be shown more leniency than others, but most of what we ask for is common sense (it's not too difficult). I would like to make a correction. Rule 2, Don't delete any posts, they should be seen by myself or someone of a higher rank before it is deleted. Yeah, I saw that... what I meant by "closed or deleted" was that I would close it and, if necessary, ask permission to delete it. Bleh. Flaming is a big no-no. Doesn't happen in my board. Period. Otherwise I'll use my DL-44 Heavy Mod Pistol on you. And I can assure you, that won't be pleasant. Also, I will not hesitate to warn if you start cussing alot. Once or twice in a post one in a while is ok, I guess, but anything repeat offenders WILL be warned. Anyone who swears alot in one post will be also. ooooooooo. ooooo .oooooo. oooo oooo ooooo oooooooooooo .o. 888 888 `88b ooo 888 `88b. 888 o 888 o .o. The Few. The Proud. The Jews. New rule: If you have been banned and come here on an alternate name, your posts will be deleted no matter how relevant or useful. ... And any mod can do that in their board(s) from now on as well. Thanks for posting this Phieta. A pickle in the post is worth two turkeys in the bush? Anyway, I claim this pickle in the name of Star, who found it herself and tried to force me to take credit for it. 1. Don't spam. Spamming is defined as "Stupid Pointless Annoying Messages," or in some cases, "Stupid Posts Annoying Moderators." "Stupid" can usually be replaced by "short" as well. In other words, spam is anything unrelated to the topic (For instance, putting "cow poop... natural fertilizer... makes it sound better doesn't it" in a topic about where you work). If it deosn't add to the discussion, it is spam. So don't spam. If the topic itself is spam, it will be closed. If it's just a reply, I'll give you a reminder thingy. If it gets too insane, I'll drop-kick it over to Rylkan and the Insanity Board mods. 2. Don't post anything that would be inappropriate for those under 18... and never, EVER flame, insult, put down, slam, etc another member. I have no problem warning, closing, requesting a delete, etc. 3A. This is for discussions. According to a dictionary thingy, this means "consideration of a question in open and usually informal debate." So... only discussions should go here, but ANYTHING goes in the Chatting Zone. Sometimes the difference is obvious, sometimes not. Don't worry about it too much, but think before you post. 3B. If it would fit in another forum (Video Game Galaxy, Media Center, and all those), I will leave it here unless A) You want it moved; B) A mod of that forum wants it moved; C) it is heavily related to that forum (worthy of pinning); or D) It is SeeD- or RuneScape- related, in which case it will be moved to SeeD Inn no matter what. 3C. "Moved Topic" links will remain here until 1 week after the move, or until the original poster replies to the topic in question. 4. If you want your topic moved or closed, or want the title changed, PM me. I'll do it. 5. If you have been banned and decide to return on an alternate name, your posts will be deleted no matter how relevant or useful. Additionally, if all I'm posting in a topic is mod-related, I may edit it into your topic instead of replying. This saves space. Edit, don't double-post! Sorry if I sound like a Nazi Mod. 5. No ads for websites should be posted here (applies more to CurvedSpace). Instead, post them in the Chatting Zone as long as the site is not competing with ours. There you have it. The rules are rather simple, they just sound menacing... but if you don't follow, you'll be slain by Phieta's Moderating Rod (or "Mod Rod" for short), Grimmy's *insert picture here* DL-44 Heavy Mod Pistol, or Muler's... whatever he wants his mod weapon to be. Official member of the 'I-was-a-hot-chick-in-a-past-life' club. Majority rules. If you can't beat them, join them. SPAM! What a strange post. It WAS NEVER HERE. Revised 6b due to confusion. Made a little update, mainly just taking out things that don't apply anymore. I think the biggest thing was just cutting down the #6 rule into just one thing (which is actually just the 6b Cspace put up). Also, should the topic title for "Forum "Do"s And "Don't"s" be changed to something else to remove potential confusion between rules threads? Something like "Discuss Forum Ethics". Whats that rue about spamming? Thats virually all i do, and im still here......right?